^ “The Misrepresentation of Anthropology and Its Consequences”. American Anthropologist, New Series (Blackwell Publishing on behalf of the American Anthropological Association) 100 (3 (Sep)): 716-731. (1998). ^ Definition of animism at the Online Etymology Dictionary, accessed 2 October 2007. ^ Lowrie, Robert H. (1917). 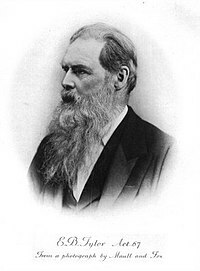 Edward B. Tylor. American Anthropologist, New Series Vol. 19, No. 2. (Apr. – Jun., 1917), pp. 262-268.